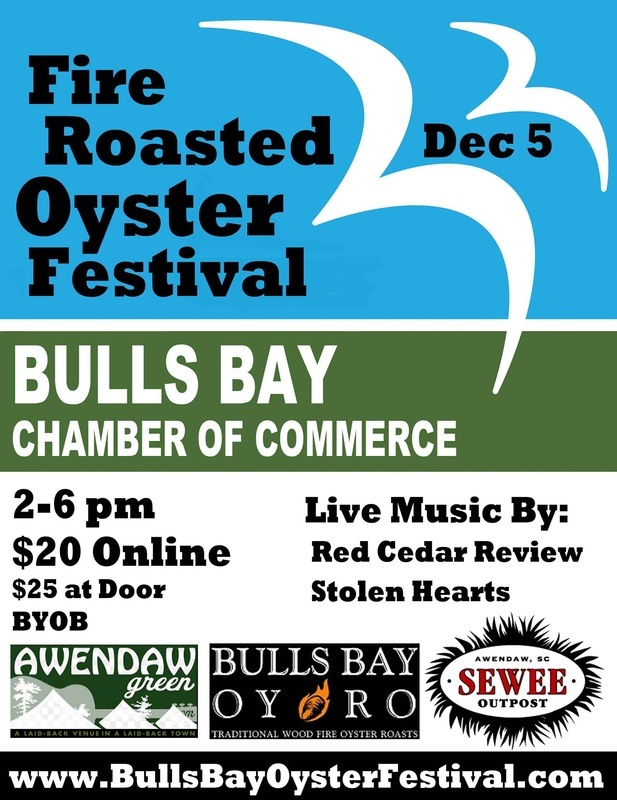 Bulls Bay Historic Passage Chamber of Commerce, Bulls Bay Oyster Roasts, Sewee Outpost and Awendaw Green present a traditional fire roasted oyster festival to celebrate and promote local businesses while preserving our natural and cultural resources. Tickets are $20 online, $25 at door. Buy them HERE.